So what are these essential oils you speak of? You know that lovely scent of fresh basil? Or that powerful scent of someone opening a tangerine? THAT is the loveliness I am talking about. Essential Oils are pure extracts from plants, they are 50-70 times more powerful than herb’s (i.e. 1 drop of peppermint essential oil = 28 cups of peppermint tea). )and are nature’s defense mechanism for plants and cells. They are highly concentrated so a little goes a long way and they are a safe, affordable way for YOU to reap medicinal and therapeutic benefits. Ask my friends and family, my new form of releasing stress is creating new concoctions or as some like to say “potions” for all their aliments. Anytime someone comes to me with something they are looking to improve I usually have a response such as “oh I have a oil for that” or “hold on, let me do some research, I’ll make you a blend.” Seriously, my one friend calls me the witch doctor. I could keep going but then you would be here way longer than planned. Oh and the blends! Oh the blends. I use the grounding blend before tests to reduce stress and anxiety, I use the protective blend to give my immune system a boost and so much more with the various blends. Aromatically: Essential oils can be diffused into the air with the use of a diffuser or inhaled straight from the bottle. Whether I am putting them on my skin, breathing them in from my diffuser/hand/straight from the bottle or sipping them in my water (only can be done with oils that are pure), essential oils are constantly supporting my daily active lifestyle. How do I know what oils to buy? There are a few key factors to focus on when selecting essential oils It’s really important to make sure you are choosing to use oils that support your health. You need to be choosy with everything you put into your body and unfortunately, the bottles of essential oils found in many stores don’t live up to high enough standards. Just like you choose what food you put in your body, you need to choose the best essential oils for your body as well. Purity: You want to make sure there is nothing sneaking into your essential oils that you didn’t plan on. AKA no fillers, pesticides, herbicides, or other contanminants. You want to eliminate toxins from your body and environment, not add some in. Make sure that your essential oils are put through rigorous 3rd party testing to verify the quality and purity of your oils. Potency: In order for an essential oil to be powerful and effective, each plant has to be grown in its indigenous region, in a optimal climate, and be harvested at its peak of potency (for example, the oils that I work with are 50-70 times more powerful than dried herbs). You also want to ensure that your oils are grown sustainably to ensure there’s no unnecessary harm being done to the environment. Sourcing method: Focusing on the welfare of the farmers and artisans who are providing the raw materials for essential oil production is super important. These people live all over the globe, many of the in developing countries, and the brand of essential oils that I personally use puts them first – creating infrastructure for their communities, and providing a reliable, fair wage so they can continue to do the work they love while harvesting the most pure, potent plants possible. Okay got it, so HOW do I but them? The best way to buy essential oils is to open a wholesale account so you can ensure you’re always getting the lowest pricing available (25% off retail price). I always recommend opening a wholesale account to everyone, because it gives you access to a huge discount with no strings attached whatsoever. With a wholesale account you also have access to an optional, but insanely generous Loyalty Rewards Program (free product, for the win!) – and you have the opportunity to make commission for sharing the oils with friends, if that’s something you’re into. You’ll also have access to me every step of the way to support and guide you (along with the outrageously amazing tribe of essential oil lovers that I’m part of). This all sounds wonderful but I don’t know what I want to order…..
Are you looking to switch to a low tox lifestyle? Are you looking to reach certain health or fitness goals? I also love doing health and wellness workshops for groups if you and your friends want to throw an oily party! What’s the most popular enrollment kit? The Home Essentials Kit is the most popular kit for sure, it comes with 10 bottles of the most-used oils + oil blends, PLUS a diffuser. If you order an enrollment kit when you create your wholesale account, you get an even bigger discount than you would if you bought the oils + diffuser a la carte – and you also get to waive the $35 enrollment fee. For example, the Home Essentials kit at enrollment costs $275, but if you were to purchase each of the oils + diffuser instead of buying the kit, you’d end up paying a total of $361 at wholesale pricing ($326 for product and $35 for the enrollment fee). This is why enrollment kits are total no-brainers. Check out all of the options here! There’s a kit for that! These larger kits are especially great for people who want to sell the oils in their retail location, use them with clients, and peeps who want to get a running start at building their own essential oil business (and toxin-free living fans). Plus, there are bigger discounts and extra bonuses when signing up with the larger kits. With the Natural Solutions Kit you save $98 on wholesale pricing, get 100 free product credits to use towards future purchases, and automatically start receiving 15% of each Loyalty Rewards Program (LRP) order back in free product credits. With the Every Oil Kit you save $285 on wholesale pricing, get 200 free product credits to use towards future purchases, and automatically start receiving 20% of each LRP order back in free product credits. With the Diamond Kit you save $804 on wholesale pricing, get 400 free product credits to use towards future purchases, and automatically start receiving 25% of each LRP order back in free product credits. 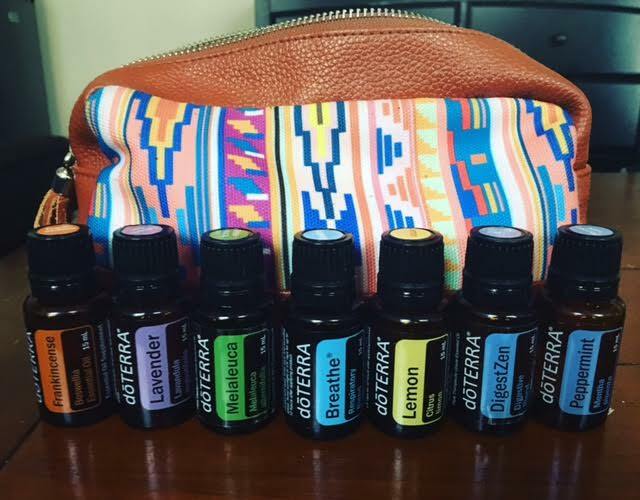 What if I’d rather pick my oils a la carte? You can definitely do that! You’ll just miss out on the enrollment kit extra discount, and will pay a $35 enrollment fee. The enrollment fee gets you access to wholesale pricing (25% off), just like a Costco membership. This is still a way better value than paying retail. If you’d rather go the DIY route, here’s the full product guide so you can take a peek through all of the rad stuff you can choose from. What if I want to sell the oils, too? I would love to chat about the opportunity to join my incredible team. Seriously, you’ll be blown away by these women. A business that’s rooted in personal growth, achieving optimal wellness, and being of service to the global community isn’t something you hear much about these days. A career with absolute personal freedom, location independence, and unlimited earning potential is just as rare. After writing the two above sentences I realized they legitimately sound too good to be true, but those things are exactly what this business model, and a career as a Wellness Advocate are made of. Looking for this sort of opportunity in your life? Shoot me an email at nothingwithoutyoga@Gmail.com & I will get you set with the best people around.